As scientists and physicians race to explore new and more effective strategies to treat pain, many are investigating how technology might play a role. One of the most exciting, and promising, developments in this area is the use of virtual reality. The premise behind virtual reality is to create an artificial environment that the user can relate to and interact with in a meaningful way. The user’s activity, including movements of the eyes, head, and even the arms, modify the environment that the user is experiencing. Virtual reality can tap into a number of senses, including sight, sound, and even touch, making it a potentially valuable tool in treating medical conditions that impact the way the mind and the body interact. One of the first uses of virtual reality for pain management was in distraction therapy. Distraction therapy works by diverting your attention away from something painful. The human brain’s ability to focus can become overwhelmed by pain; virtual reality technology can not only shift our attention away from the pain, but also keep it engaged away from the pain by creating emotional connections to the virtual experience. As an example, for somebody who likes chilling at the beach, using a virtual beach experience could be a great distraction choice. 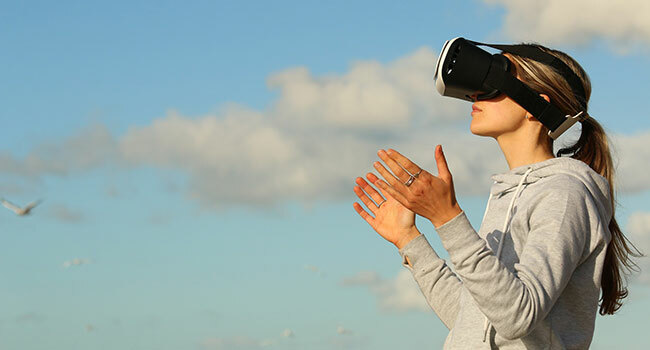 While a lot of positive studies have now been published on the effectiveness of virtual reality and distraction therapy, most of its value appears to be in the management of acute pain episodes. For example, distraction therapy can help a patient go through a painful treatment with less pain while using less medication. Typically , though, distraction therapy only provides short-term windows of relief. The big question now is whether virtual reality can play a meaningful role in the long-term management of a person’s chronic pain problem. In order for that to happen, virtual reality has to help the brain reshape itself in a way that changes the way it experiences pain. Some of my patients with complex chronic pain problems have been volunteering to help a local virtual reality company called CognifiSense gain clues on how virtual reality might be used to provide ongoing relief. Using virtual reality, the patients create an avatar of their pain, where they create a visual representation of the pain in their body that they can see, hear, and start to manipulate. For somebody with a spine problem, the avatar may have a throbbing, pulsing, red image in the low back area, and if sciatica is also present, the user could see shooting orange-colored signals flash down a leg, as an example. All of this can have sounds created to produce an even more vivid representation of the pain. Once the user is able to connect with this virtual pain avatar, then through guided exercises they can start to change how they feel and think about their pain. When virtual reality can effectively help create positive emotional changes, as well as lead to important cognitive shifts or thought processes that the user can carry over into their everyday life, then we start to see how impactful this type of treatment can actually become. Knowing how much pain can throw off our mood, communication patterns, attitudes, motivations, and behaviors, if virtual reality can indeed help lessen these effects, it could be a real game-changer.